When the sun comes out, there’s nothing quite as satisfying as diving into a pool to cool down. 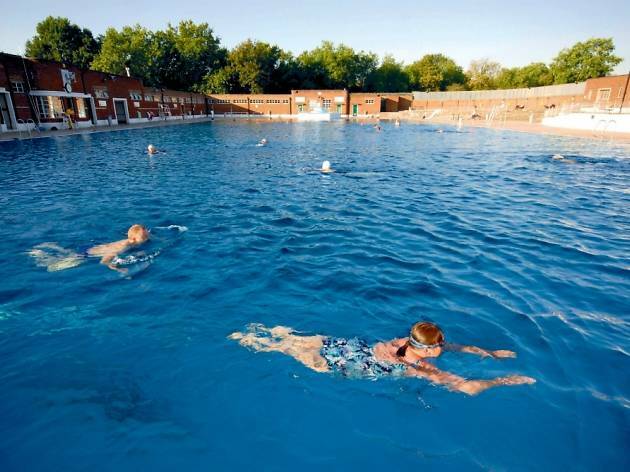 Luckily, London is flooded with outdoor options, so it’s a total breeze to find a lovely lido or outdoor pool to really soak up those summer vibes. Whether you’re looking for alternative ways to get fit, family-friendly fun or somewhere to lounge around in your best bikini, take your pick from the list below for a much-needed dose of H2O. 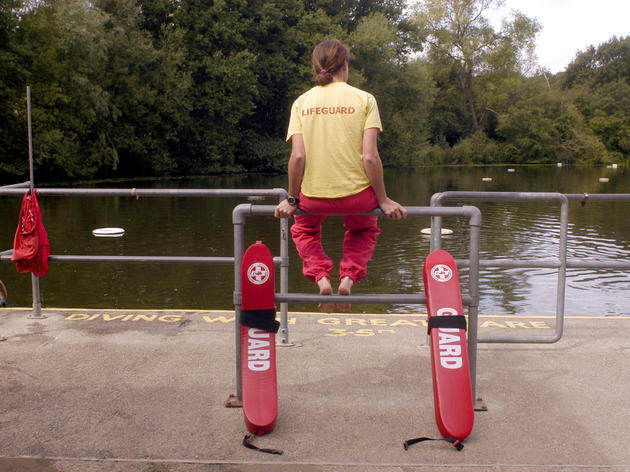 These are some of the best places in London to make a splash. Rubber ring at the ready! 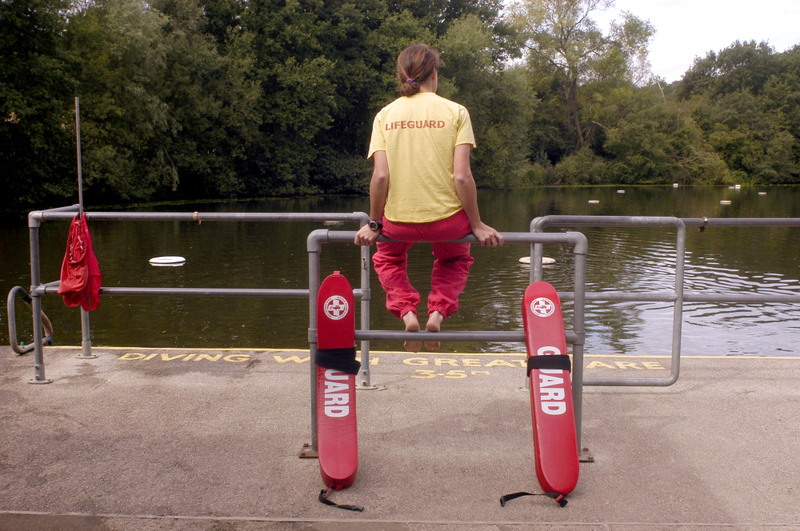 Hampstead Heath’s swimming ponds were originally dammed-off clay pits. Three pools are open, to ladies, men and mixed groups (including accompanied children aged 8+ at the lifeguards’ discretion). 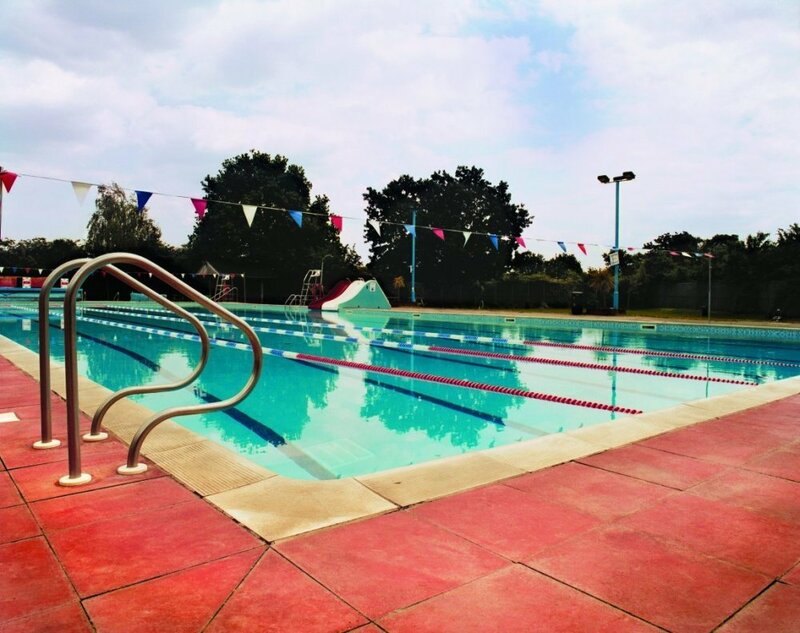 The Men’s and Ladies’ Ponds are open all year round but to use the Mixed Pond in the winter season you must join the Hampstead Heath Winter Swimming Club. Even in the summer, the water is chilly. You have been warned. A 27.5m expanse of blue, the outdoor pool at the Oasis in Camden is a revelation to the uninitiated. Once you’ve discovered the open-air heated pool, sun terrace and adjacent indoor pool you’ll be hooked, just like everyone else who’s in on the secret. The Oasis is so popular at hot summer weekends and at peak times that getting any serious swimming done is difficult – best go with the modest aim of splashing about to cool down. 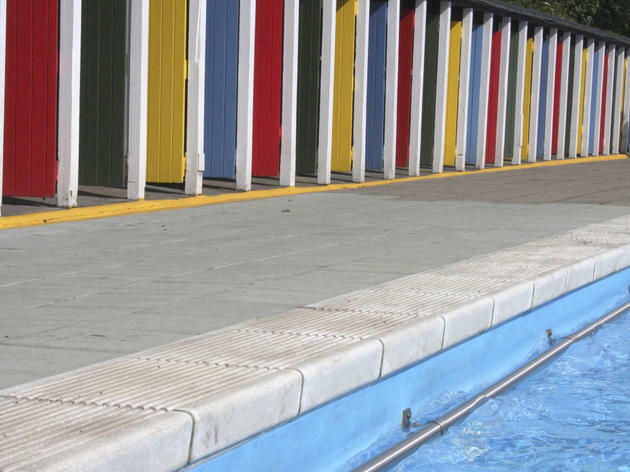 Tooting’s vast pool, with its iconic, coloured changing huts, has been treasured by fortunate locals since it opened as a bathing lake in 1906. 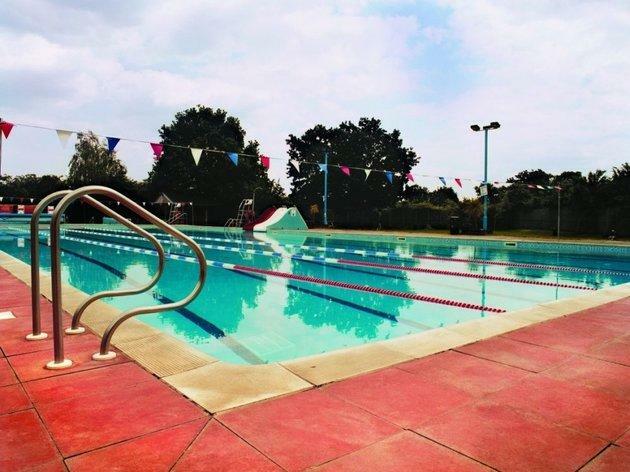 At just over 90m, it’s the largest outdoor freshwater pool in the country, and inspires devoted swimming all through the year. 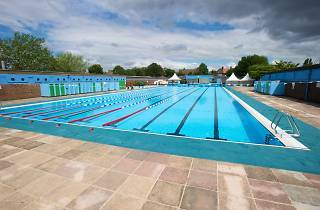 To swim in winter you must be a member of the well established South London Swimming Club, which has been based at the lido almost as long as it has existed. Facilities include a paddling pool for kids, a café, and lockers for small valuables. 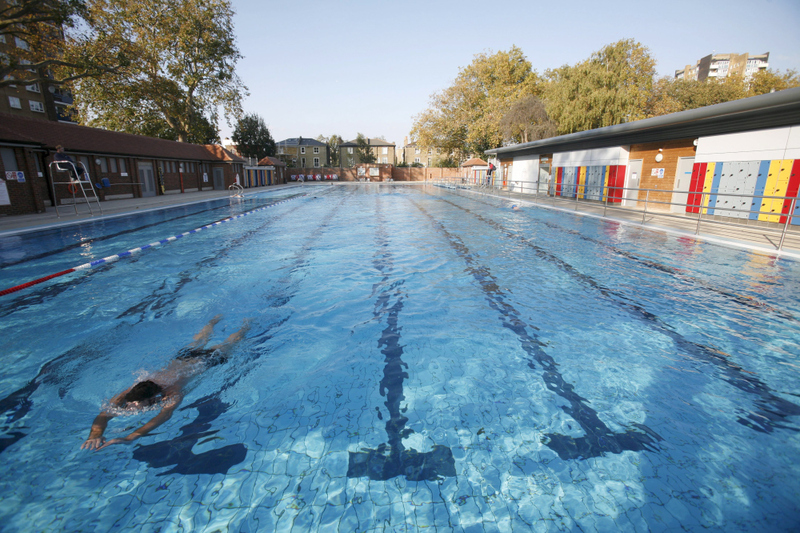 A dogged 18-year campaign by the London Fields User Group saved this 50-metre lido from demolition, and it reopened in 2006. After a nine-month refurb in 2017, it's looking super swanky once again. Open year-round, it’s heated and well used: during busy holiday periods it closes at lunchtime between sessions to make sure as many people as possible can enjoy it. Picnicking is off-limits but there are two cafés. Early mornings and the winter months are the preserve of the Serpentine Swimming Club, but from May to September there’s a warm welcome for everyone in this section of the Serpentine lake – although the water is not heated or chlorinated, and you may find yourself sharing a dip with the local ducks and swans. There’s a gated family area with paddling pool and playarea, plus sun loungers for hire if you want to make a day of it. After an extensive, £2 million refurbishment, this 50-metre, Olympic-sized pool in the heart of Greenwich reopened to the public in early 2013. The facility is fully heated and has two sun terraces, with a café, gym and fitness studio also on the site. 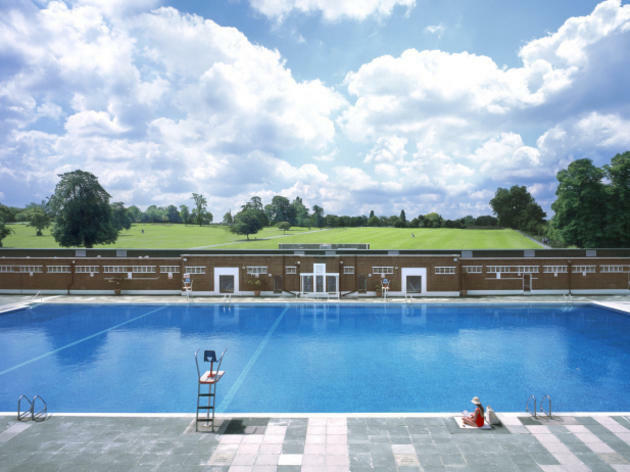 Brockwell’s 50-metre pool is surrounded by art deco Grade II-listed buildings which house the Lido Café and exercise studios, offering year-round dance and pilates classes and activities for pre-school children. Once you’ve perfected your backstroke, enjoy an eclectic range of events on site, from film nights to furniture fairs. 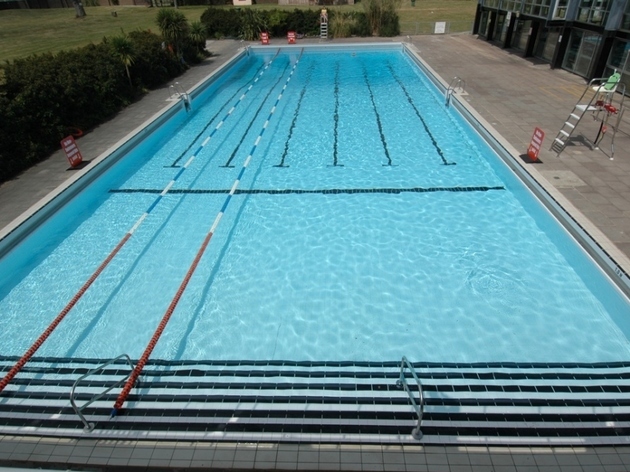 Finchley's lido is housed in a complex which includes an indoor pool, cinema and bowling alley. 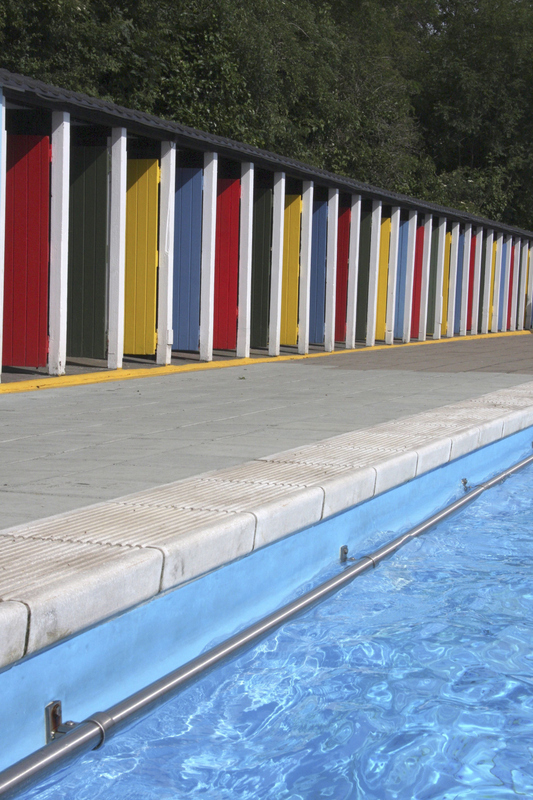 The lido is petite (and unheated) with a grassy terrace for lazy days in the sun. 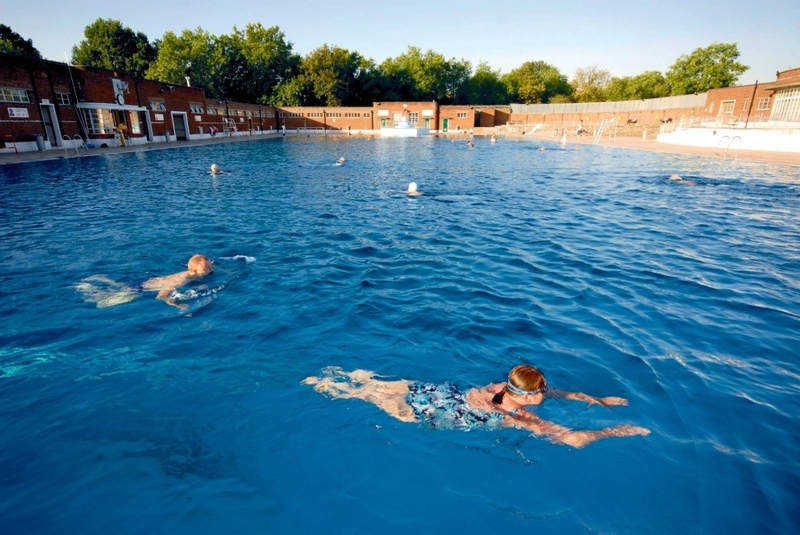 Opening is weather dependent – you won't get an al fresco swim if it’s less than 20C outside. Indoors, swimmers can plough up and down the main pool or enjoy the leisure pool’s wave machine. Formerly known as Uxbridge Lido, the Grade II-listed, 50m, open-air swimming pool has been recently restored to its 1930s glory, complete with cascades (fountains) at either end and a new, heated shallow splash pool for children. 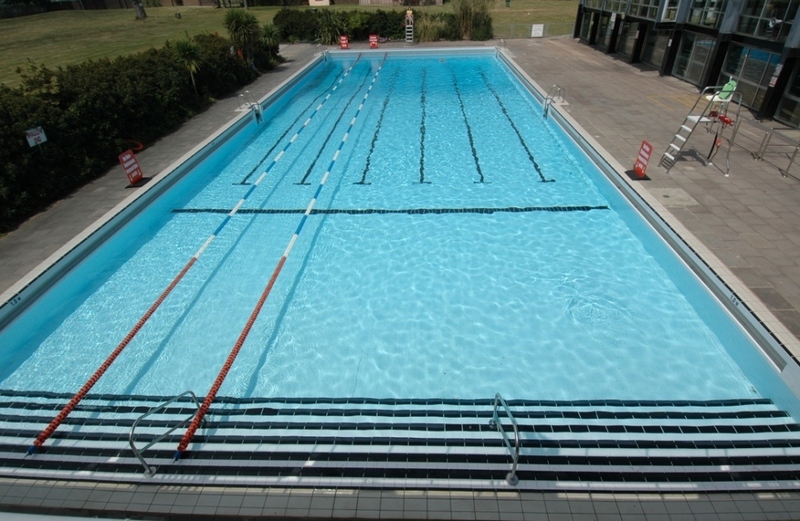 The outdoor pool is now part of a new leisure centre that includes an indoor pool of the same size. Out in the open, there’s space to chill by the pool and café for post-swimming snacks. 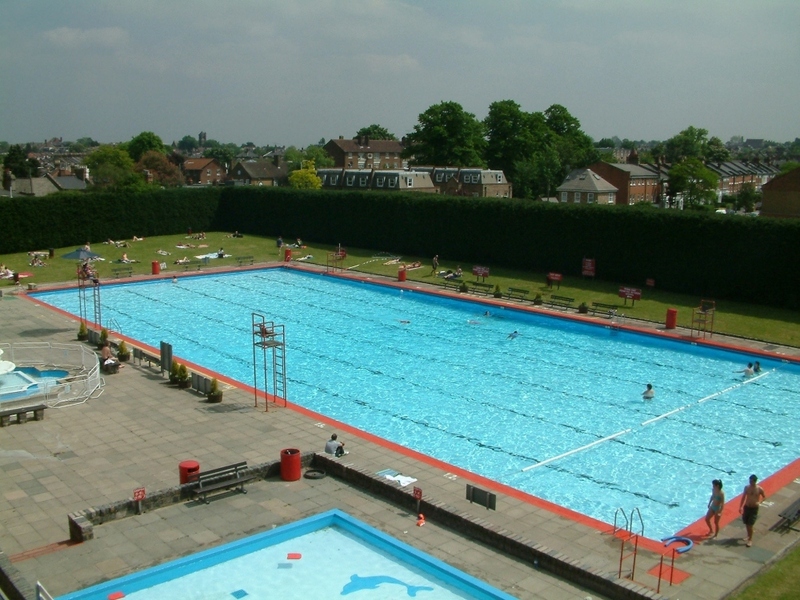 Built in 1938, the Grade II-listed Parliament Hill Lido measures a generous 60 by 28 metres. 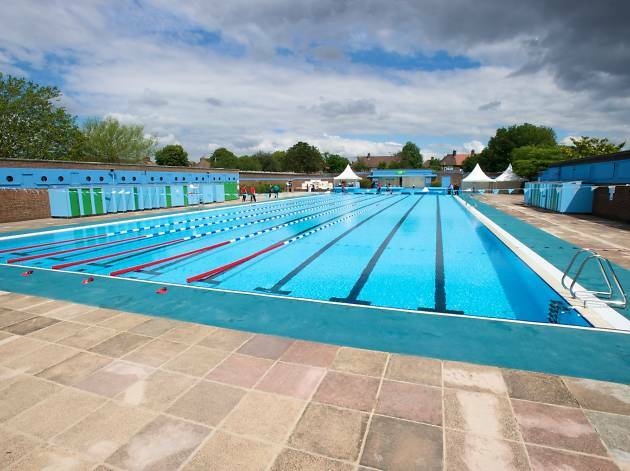 It has a stainless steel pool liner (the only one in an outdoor pool in the UK) which gives the water a metallic shimmer – not that you'll be able to tell when it's packed full of people on a sunny day. The lido is unheated and there's also paddling pool for under-fives and a cafe on site. 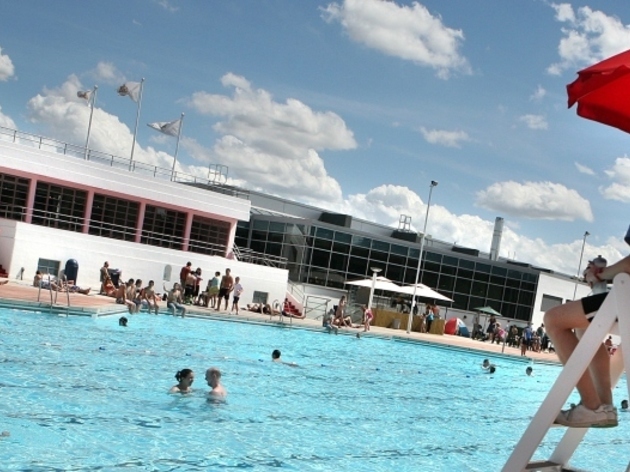 This south-facing, 36-metre open-air pool, with grassy areas for sunbathing, is open and heated to a balmy 28C all year round. Built in 1922, it was saved from closure in the 1980s by a group of local residents, who continue to take part in fundraising activities. The group has rebranded itself as the Poolside Swim & BBQ Club and holds swimming and social sessions outside of normal pool hours – anyone is welcome to join. 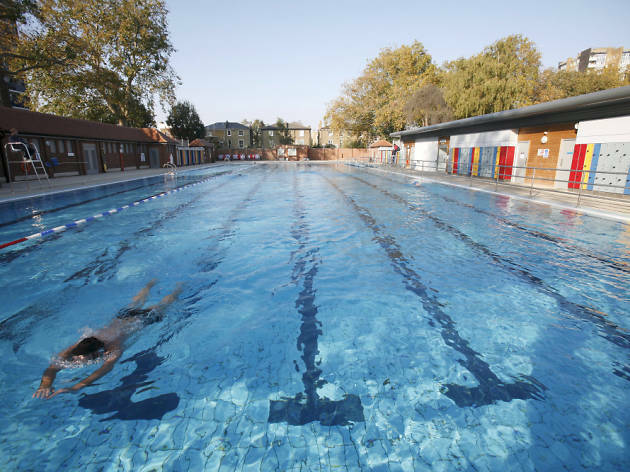 At busy weekends and during holiday periods, separate sessions for lane and fun swimming operate at Crouch End’s 50-metre lido, formerly known as Park Road Pools, which is heated and dates from 1926. Now run by Fusion Lifestyle, there are diving areas, a children's pool, grassy slopes for sunbathing and a cafeteria. The centre also has an indoor pool, exercise studios and therapy rooms. 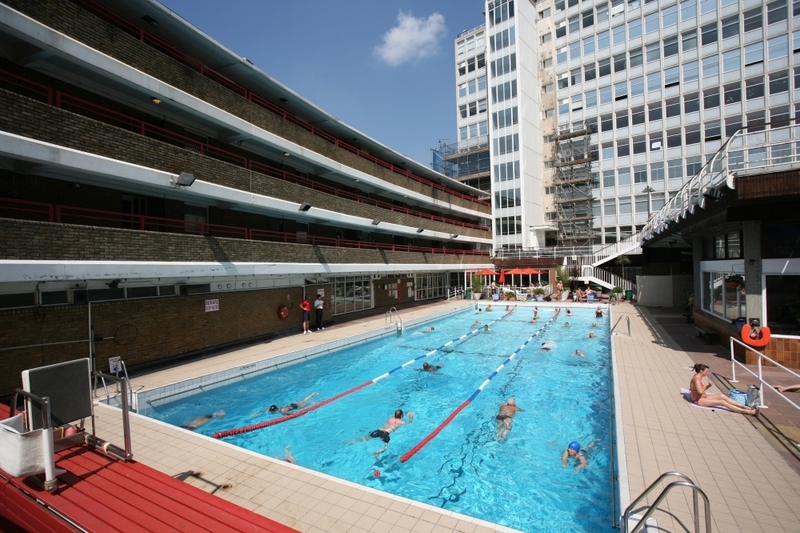 Built in the 1960s and featuring both a lido and an indoor pool, the Richmond Pools are part of a complex that includes a spa and fitness centre. 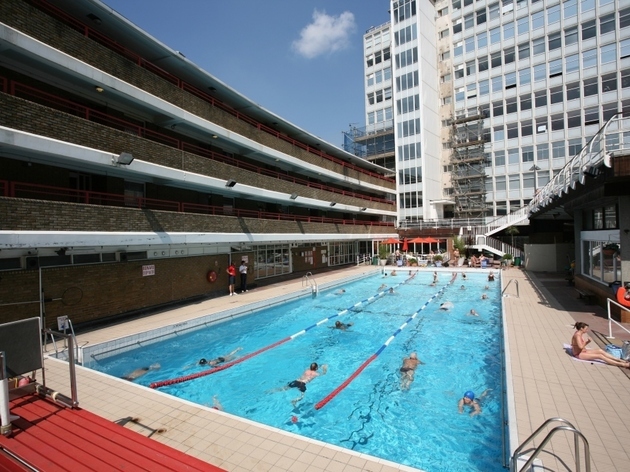 The heated outdoor pool opens all day during the summer months, with morning swimming offered for the rest of the year.